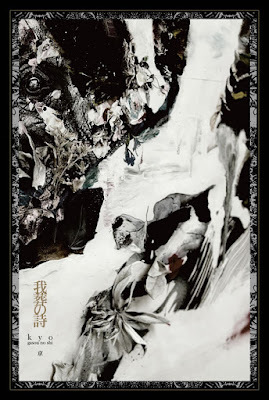 Kyo (DIR EN GREY) to Release New Poetry Book | VKH Press – J-Rock & Visual Kei Coverage Worldwide! 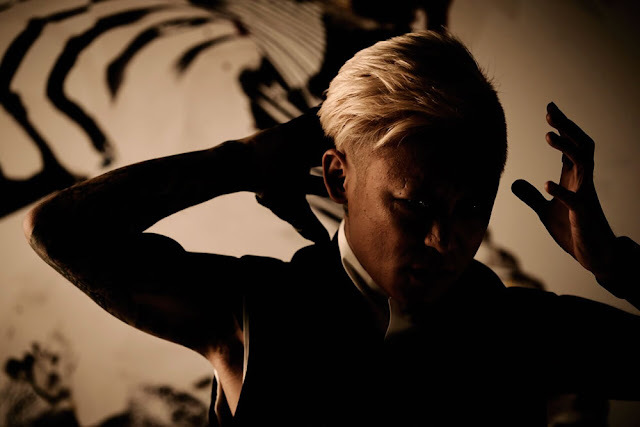 Vocalist Kyo of DIR EN GREY announced that he would be releasing a new poetry book this summer. The book is called 我葬の詩 (poetry of our funeral) and it will be released at the end of this summer in two types. The book itself will be a hard-cover book that is A5-sized and will have 200 pages. One type is the deluxe edition with the DVD. The book will come with a DVD with an interview. This will cost 8500 yen. The other edition, deluxe edition, will come with just the book only and will cost 7800 yen. This book will contain pieces that Kyo has written during a period of 18 years, containing new editions of previously written poems and some newly written poems. In addition, Kyo will hold a solo exhibition performance of the book called 我葬. The book can be ordered via Penyunne Zemeckis's OHP (here) from now until late August. Sales for the exhibition will happen between August 19 through August 23.